I love the region of Le Langhe for many reasons but the most important one for me is that it always brings me back to nature. And so, I was fortunate again to find a tour being offered by Eatinerari called Spiriti Langaroli, or spirits from Le Langhe. This excursion would take me to Borgogno in Barolo, Brandini in La Morra and Montanaro Distillery in Gallo d’Alba. The weather on this day was quite particular; foggy as anything, as it should be this time of year. The fog, la nebbia, tends to be quite thick as autumn slowly leaves and makes way for a new season. It’s a time of the year when the grape vines begin their resting period, as winter is quickly approaching. The fog was so thick that it completely obstructed the view but at the same time it added a layer of mystery to the magical hillside. The grape harvest season finished sometime ago so now we turn to take a look at the work inside of a cantina. 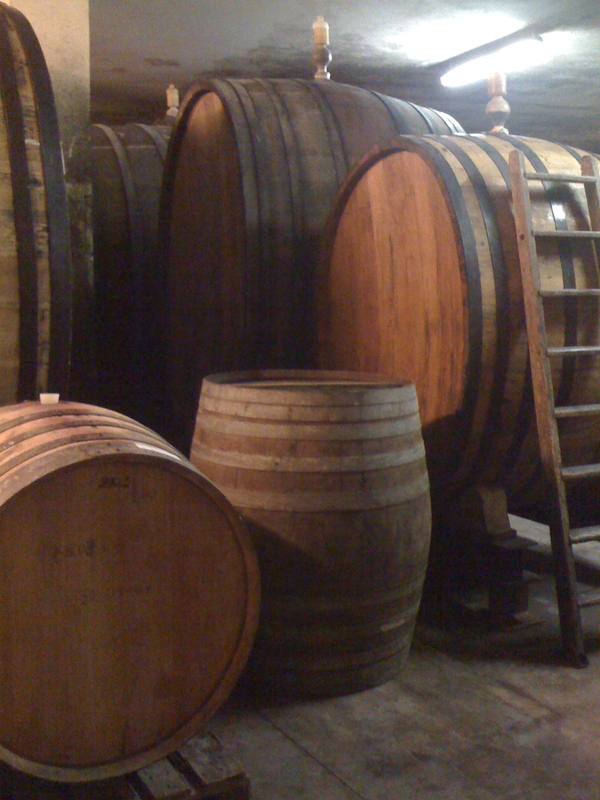 I just love the smell inside of a cantina…where grapes slowly turn into wine and also where wine is aged in wooden casks. The wooden casks breathe in relation to the humidity in the air and the wine is also absorbing some of the tannins from the wood. It’s a continuous cycle that requires diligent care. The vineyards of Borgogno do not use herbicides and the care of their vineyards is done exclusively by hand. Upon entering Borgogno one sees photos and a brief explanation about what makes them stand out from the other wine makers. One bit of information that just about sums it up for me is “In Praise of Habit and Slowness or Elogio dell’abitudine e Lentezza.” They have been making wine since 1761 and repeat their acts in rhythm with the seasons, as mother nature would do. 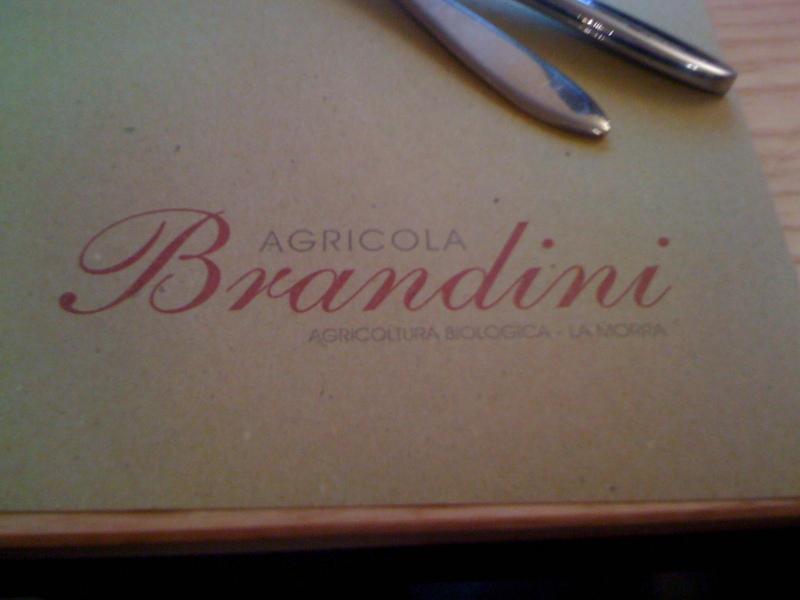 Next stop was a visit to Brandini, an organic wine maker in La Morra. This was a special treat because the cantina and restaurant are not open to the public; or rather they are only open to the public on days where they have an “open house” or in this case an “open cantina.” We were served a lovely lunch, starting with salumi, carne cruda from Verduno and frittatas made with organic vegetables. The Tajarin di Antignano was the perfect pasta dish for a cold, damp and foggy day. Tajarin is a specialty egg-pasta from Piedmont and it was served with an ever-so-light and tasty ragu referred to as spezzatino di bovino de “La Granda.” La Granda is a race of cattle from Piedmont and a Slow Food Presidia was established to help local farmers or in this case cattle herders, to assist these artisan producers. Production techniques, standards, and the promotion of local consumption ensure a sustainable future. 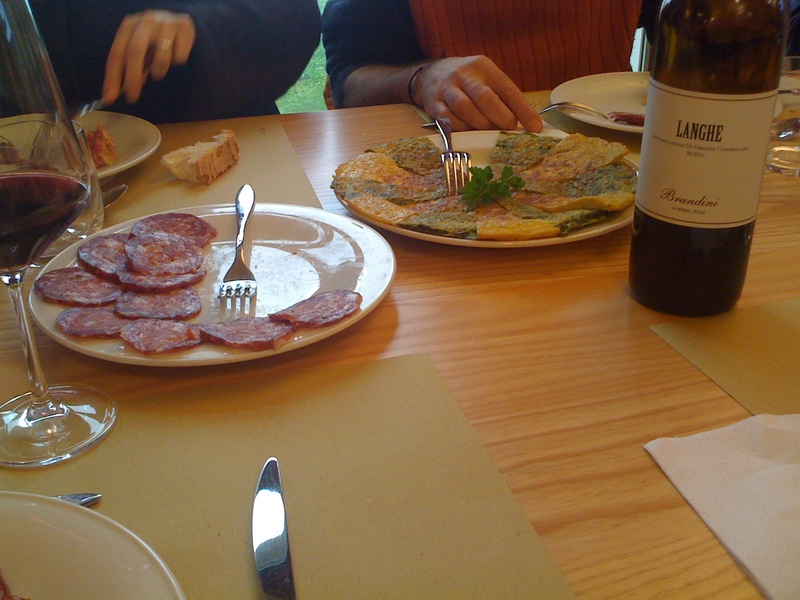 I tried the Brandini & Brandini Langhe DOC Rosso 2008. It had deep flavors of dark berries and a nice liquorice finish. For an organic wine, I was pleasantly surprised with its body and character. Our last stop for the day was Montanaro Distillery for a grappa tasting in Gallo d’Alba. They have a beautiful tasting room and we also tried some of their wonderful chocolate and liquor treats. 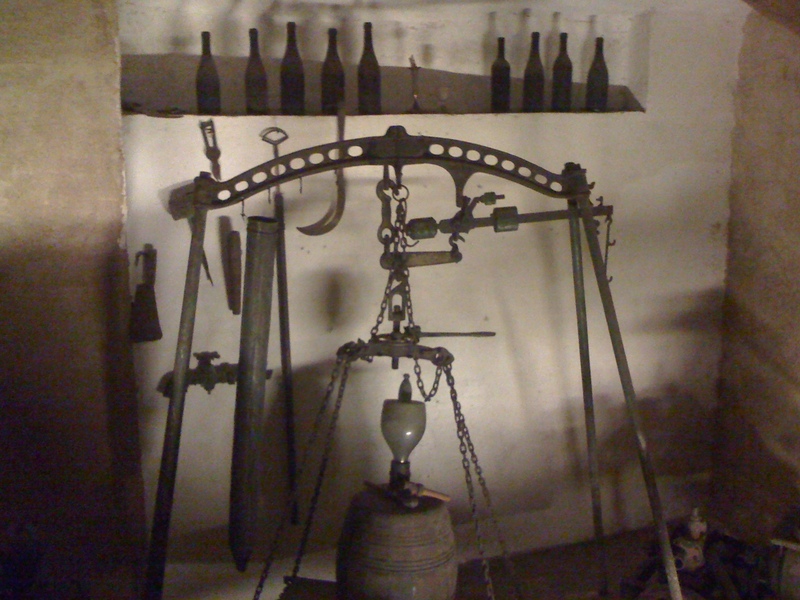 This distillery uses old techniques to produce their line of grappa. The aged grappa were some of my favorites. Then, something caught my eye…chamomile liquor that was made from a grappa base. It’s a slightly sweet, tea-infused liquor that really appealed to me. I got caught up with all of the goodies in their tasting room, (there were so many) and I inadvertently forgot to buy it. Bunet, a classic Piemontese dessert made from eggs, milk, sugar, dark chocolate and amaretti. 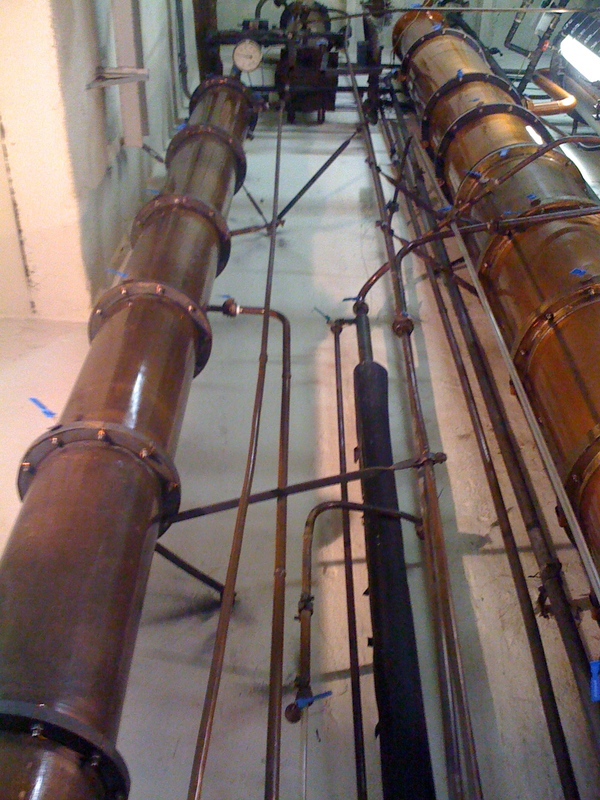 At the distillery, looking way up! 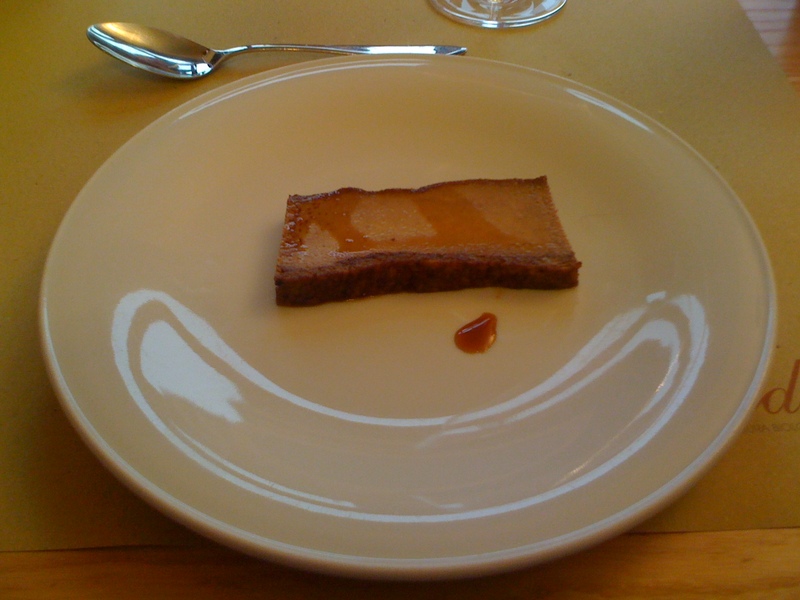 This entry was posted in An American in Turin, Italia, Le Langhe, Piedmont, Restaurants in Piedmont, Torino and tagged Agricola Brandini, Barolo, Gallo d'Alba, La Morra, Le Langhe, Piedmont. Bookmark the permalink. Thanks for writing!! I’ve been to Saluzzo before…but only at night time with friends. It’s great that you’ve been living here for 6 years. I’m trying to take advantage of every moment I have here…between working and all. Stay in touch and continued success with your blog!! Nice work! !